Creeping out of rocky cliffs in the harshest of environments, Rhodiola displays strength, stamina, and perseverance in its very essence of being. 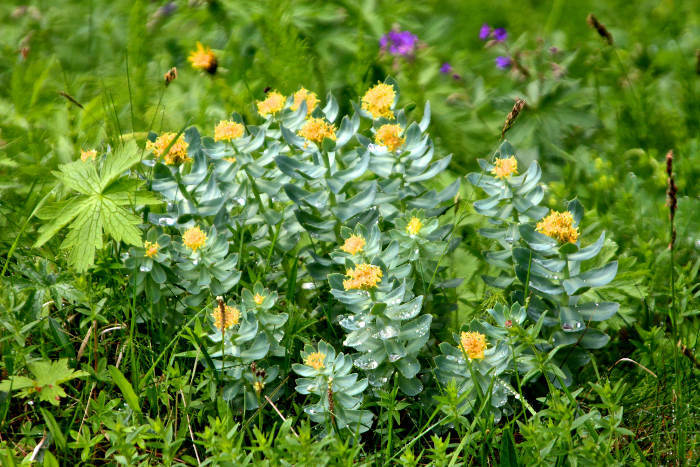 With a long history of use in traditional medicine and hundreds of studies performed in Russia and Asia, Rhodiola has been slowly creeping into Western herbal medicine. 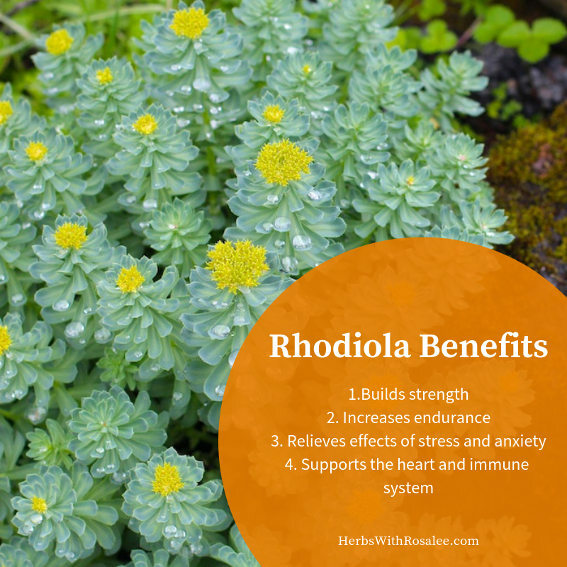 Loved by many and questioned by some, Rhodiola may offer much needed help for many of today’s common health problems. Above all, Rhodiola is heralded as an adaptogen herb. Adaptogen herbs are building and nourishing herbs that offer broad-spectrum resilience, helping humans to adapt to stress and other nervous system challenges. Chinese emperors traditionally used Rhodiola in their quest for long life, while Siberians traditionally used it to prevent illness during the winter. 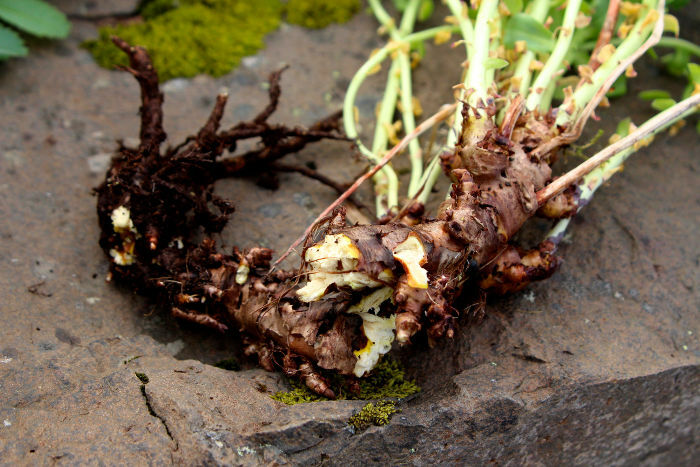 Vikings relished the increased strength they got from Rhodiola. In recent years, Rhodiola has been studied for its ability to increase the stamina and endurance of athletes. 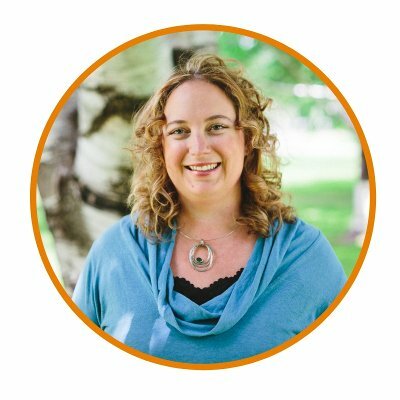 One small study found that a combination of Rhodiola root and Cordyceps fungus improved athletic endurance in men who were also undergoing high altitude training.1 Another small study showed that Rhodiola “may increase the adaptogen ability to physical exercise.”2 Other studies have shown little to no benefit for athletes.3 Larger well-designed trials are needed. There have been many studies looking at Rhodiola in regards to depression, but there are a limited number of well-designed human clinical trials. In looking at a range of studies from cell cultures to humans, a review of Rhodiola in the treatment of depression by the American Botanical Council reports, “These studies have provided evidence that the antidepressant effect of Rhodiola may be associated with the following mechanisms: modulation of stress response mediators, modulation of the hypothalamic-pituitary-adrenal axis homeostasis, modulation of G-protein coupled receptor signaling pathways, and stimulation of expression and release of neuropeptide Y (NPY).”6 In other words, Rhodiola seems to improve many different facets of cognitive health. Lost in the bright headlines of Rhodiola’s amazing actions is a more nuanced view of its energetics: Rhodiola is a significantly astringent plant. You’ve experienced astringency if you have ever eaten an unripe banana or drunk strong black tea. This action helps to tighten and tone tissues and is helpful for reducing swelling, healing wounds, and generally addressing lax tissues. In keeping with this action, Rhodiola was historically used to heal wounds, address diarrhea, and stop bleeding. Due to its high level of astringency, however, Rhodiola can be problematic for people who already have toned tissues and/or signs of dryness. In this case, constipation, dry sinuses, and headaches can be common adverse side effects. In some cases, people have reported feeling anxious or uncomfortably hyperfocused. 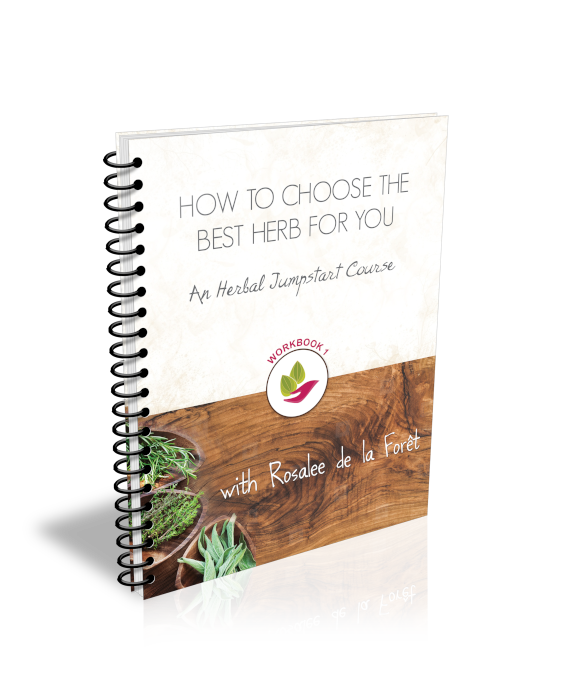 As with any herb it’s a good idea to start with small doses to gauge your individual reaction to the herb. In Traditional Chinese Medicine (TCM), Rhodiola is used to address a range of heart and lung issues. In TCM terms, Rhodiola moves Blood and boosts Spleen and Kidney Qi. One in-vitro study showed that Rhodiola crenulata “protected endothelial cells from hyperglycemic insult and demonstrated its potential for use as a treatment for endothelial dysfunction in diabetes mellitus.”8 The endothelial cells that line the blood vessels are a target for prevention of atherosclerosis and cardiovascular disease in diabetics. Numerous in-vitro studies have shown Rhodiola, and extracts of Rhodiola, to be effective against various cancers, including colon cancer and breast cancer.10,11,12,13 More rigorous studies are needed to better understand how Rhodiola may help those with cancer. 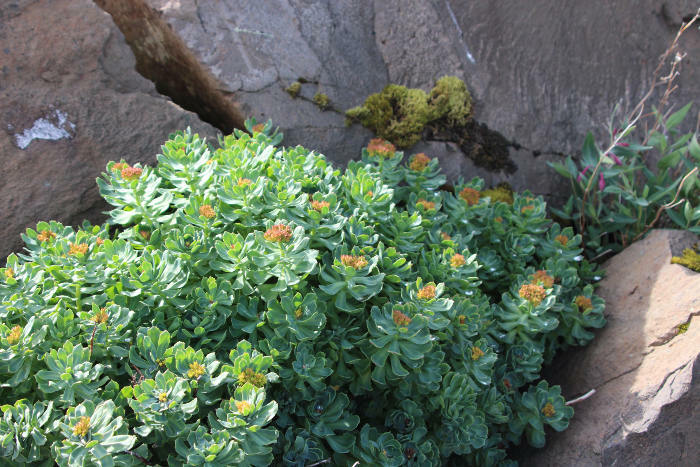 Rhodiola thrives in rock outcroppings in northern and Arctic biomes, including boreal forests. It can be found in northern Canada and northern Europe and Asia, but also grows at higher altitudes in the Rocky Mountains and California’s Sierra Nevada in the United States. 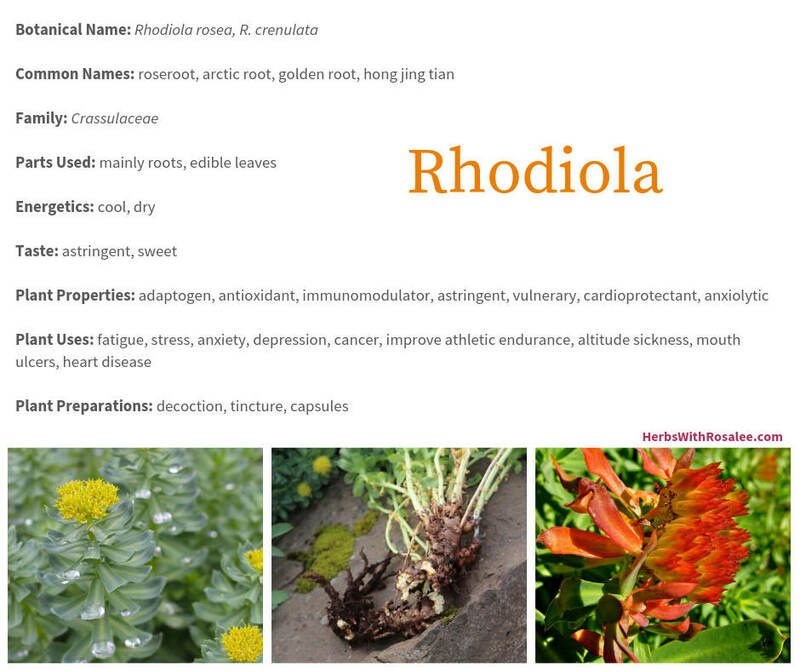 Rhodiola is a perennial succulent with male and female flowers growing on separate plants (dioecious). The small rounded or pointed leaves grow in a tight alternate pattern up the stem. The flowers grow in a dense terminal cluster and range from yellow or pink to red and magenta. In some species, male flowers are yellow while female flowers are pink/red. Unlike many other adaptogens, you can feel the results of Rhodiola fairly quickly after taking it (within days to a week). Many herbalists prefer the fresh root tincture as this is said to have better results with fewer adverse effects. The roots can be made into a decoction or powdered and used in capsules. There are many standardized extracts of Rhodiola available on the market. Keep in mind that this is a sensitive plant that is becoming increasingly popular. Many products on the market have been shown to be either of decreased potency or even adulterated with unrelated plant material. Decoction: 3-6 grams per day. Fresh Root Tincture: 1:2, 40% alcohol, 2-4 mL, three times a day. Buy only cultivated Rhodiola to protect this sensitive slow-growing species in the wild. Take earlier in the day to avoid being stimulated in the evening/night. The most common adverse effect reported is headaches. 1. Chen, Chung-Yu, Chien-Wen Hou, Jeffrey R. Bernard, Chiu-Chou Chen, Ta-Cheng Hung, Lu-Ling Cheng, Yi-Hung Liao, and Chia-Hua Kuo. “Rhodiola Crenulata- and Cordyceps Sinensis-Based Supplement Boosts Aerobic Exercise Performance after Short-Term High Altitude Training.” High Altitude Medicine & Biology 15, no. 3 (September 1, 2014): 371–79. https://doi.org/10.1089/ham.2013.1114. 2. Parisi, A., E. Tranchita, G. Duranti, E. Ciminelli, F. Quaranta, R. Ceci, C. Cerulli, P. Borrione, and S. Sabatini. “Effects of Chronic Rhodiola Rosea Supplementation on Sport Performance and Antioxidant Capacity in Trained Male: Preliminary Results.” The Journal of Sports Medicine and Physical Fitness 50, no. 1 (March 2010): 57–63. 3. Shanely, R. Andrew, David C. Nieman, Kevin A. Zwetsloot, Amy M. Knab, Hidetaka Imagita, Beibei Luo, Barbara Davis, and José M. Zubeldia. “Evaluation of Rhodiola Rosea Supplementation on Skeletal Muscle Damage and Inflammation in Runners Following a Competitive Marathon.” Brain, Behavior, and Immunity 39 (July 2014): 204–10. https://doi.org/10.1016/j.bbi.2013.09.005. 4. Gray, Beverley. The Boreal Herbal: Wild Food and Medicine Plants of the North. Whitehorse, Yukon: Aroma Borealis Press, 2011. 5. Winston, David, and Steven Maimes. Adaptogens: Herbs for Strength, Stamina, and Stress Relief. Rochester, VT: Healing Arts Press, 2007. 6. Keller, Amy C. "RE: Review of Rhodiola in the Treatment of Depression." American Botanical Council. December 15, 2016. Accessed January 21, 2019. http://cms.herbalgram.org/herbclip/558/pdfs/061662.pdf. 7. Mao, Jun J., Sharon X. Xie, Jarcy Zee, Irene Soeller, Qing S. Li, Kenneth Rockwell, and Jay D. Amsterdam. “Rhodiola Rosea versus Sertraline for Major Depressive Disorder: A Randomized Placebo-Controlled Trial.” Phytomedicine: International Journal of Phytotherapy and Phytopharmacology 22, no. 3 (March 15, 2015): 394–99. https://doi.org/10.1016/j.phymed.2015.01.010. 8. Huang, Li-Yen, I.-Chuan Yen, Wei-Cheng Tsai, Blerina Ahmetaj-Shala, Tsu-Chung Chang, Chien-Sung Tsai, and Shih-Yu Lee. “Rhodiola Crenulata Attenuates High Glucose Induced Endothelial Dysfunction in Human Umbilical Vein Endothelial Cells.” The American Journal of Chinese Medicine 45, no. 6 (2017): 1201–16. https://doi.org/10.1142/S0192415X17500665. 9. Chuang, Ming-Lung, Tzu-Chin Wu, Yau-Tung Wang, Yau-Chen Wang, Thomas C.-Y. Tsao, James Cheng-Chung Wei, Chia-Yin Chen, and I-Feng Lin. “Adjunctive Treatment with Rhodiola Crenulata in Patients with Chronic Obstructive Pulmonary Disease – A Randomized Placebo Controlled Double Blind Clinical Trial.” PLoS ONE10, no. 6 (June 22, 2015). https://doi.org/10.1371/journal.pone.0128142. 10. Senthilkumar, Ravichandran, Thangaraj Parimelazhagan, Om Prakash Chaurasia, and R. B. Srivastava. “Free Radical Scavenging Property and Antiproliferative Activity of Rhodiola Imbricata Edgew Extracts in HT-29 Human Colon Cancer Cells.” Asian Pacific Journal of Tropical Medicine 6, no. 1 (January 2013): 11–19. https://doi.org/10.1016/S1995-7645(12)60194-1. 11. Li, Hai, and Chen Chen. “Inhibition of Autophagy Enhances Synergistic Effects of Salidroside and Anti-Tumor Agents against Colorectal Cancer.” BMC Complementary and Alternative Medicine 17 (December 16, 2017). https://doi.org/10.1186/s12906-017-2046-z. 12. Zeng, Wei, Tao Xiao, Anlie Cai, Weiliang Cai, Huanhuan Liu, Jingling Liu, Jie Li, et al. “Inhibiting ROS-TFEB-Dependent Autophagy Enhances Salidroside-Induced Apoptosis in Human Chondrosarcoma Cells.” Cellular Physiology and Biochemistry: International Journal of Experimental Cellular Physiology, Biochemistry, and Pharmacology 43, no. 4 (2017): 1487–1502. https://doi.org/10.1159/000481971. 13. MÃjÃtez, Salvador, Rosa-MarÃna Giner, and Mari-Carmen Recio. “Immunmodulatory and Antiproliferative Properties of Rhodiola Species.” Planta Medica 82, no. 11/12 (July 2016): 952–60. https://doi.org/10.1055/s-0042-107254. 14. Loo, Wings T. Y., L. J. Jin, Louis W. C. Chow, Mary N. B. Cheung, and Min Wang. “Rhodiola Algida Improves Chemotherapy-Induced Oral Mucositis in Breast Cancer Patients.” Expert Opinion on Investigational Drugs 19 Suppl 1 (April 2010): S91-100. https://doi.org/10.1517/13543781003727057. 15. Li, Yonghong, Victor Pham, Michelle Bui, Liankun Song, Chunli Wu, Arman Walia, Edward Uchio, Feng Smith-Liu, and Xiaolin Zi. “Rhodiola Rosea L.: An Herb with Anti-Stress, Anti-Aging, and Immunostimulating Properties for Cancer Chemoprevention.” Current Pharmacology Reports 3, no. 6 (December 2017): 384–95. https://doi.org/10.1007/s40495-017-0106-1. 16. Booker, Anthony, Banaz Jalil, Debora Frommenwiler, Eike Reich, Lixiang Zhai, Zarko Kulic, and Michael Heinrich. “The Authenticity and Quality of Rhodiola Rosea Products.” Phytomedicine: International Journal of Phytotherapy and Phytopharmacology 23, no. 7 (June 15, 2016): 754–62. https://doi.org/10.1016/j.phymed.2015.10.006. 17. Winston, David, and Steven Maimes. Adaptogens: Herbs for Strength, Stamina, and Stress Relief. Rochester, VT: Healing Arts Press, 2007.